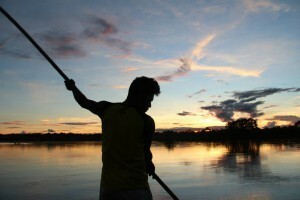 Transform the Peruvian Amazon Rainforest with us! Missions in the Amazon exists to bring holistic transformation to villages throughout the Peruvian Amazon Rainforest by forming sustainable, missionally-minded communities led by indigenous leaders. There are many ways you can partner with us in this mission, and we would love to have you join us. Through your donation, villagers are able to live lives of purpose, hope, and abundance. You can make a general fund donation by clicking the “DONATE NOW” button, or give directly to a specific project that is highlighted below. 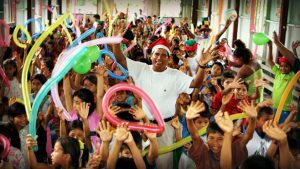 Make checks payable to “Missions in the Amazon.” If you’re donating in honor of someone, sponsoring a project, adopting a village or want to direct your donation to our operating costs, please write that on a separate note included within your envelope and we will connect with you about your request. organization and all donations are tax deductable. We strive to be a model of efficiency in operations. Private donors fund all of our operating costs, so 100% of your donation will be used to directly fund project costs on the ground. All donations are fully tax-deductible. All of the work that we do on the field is led by indigenous villagers. This has multiple benefits for our organization, as it creates ownership, keeps overhead at a minimum, and ensures that our projects are as culturally relevant and impactful as possible.